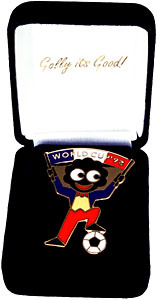 A limited edition of 5,000 brooches were issued to commemorate the 1998 World Cup (Soccer) tournament held in France (France went on to win the tournament). Each brooch was displayed in a black velour presentation box. The inside of the lid had the inscription "Golly it's good". It cost £5.00 but required no tokens. 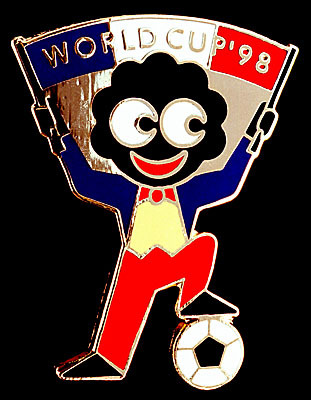 The reverse of each brooch bears a unique sequential number.